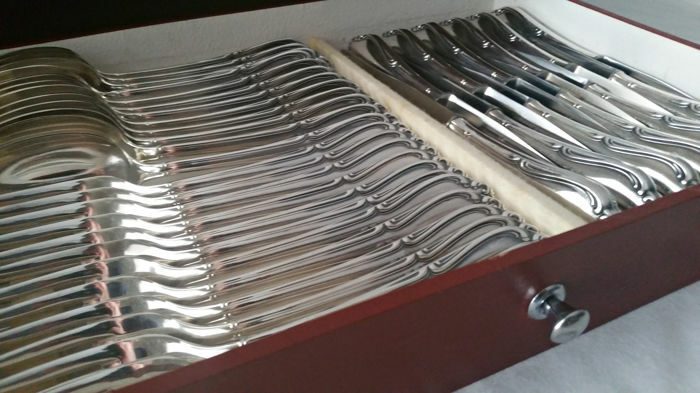 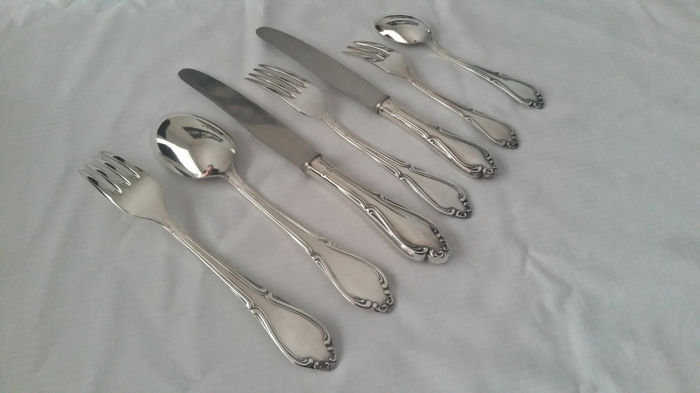 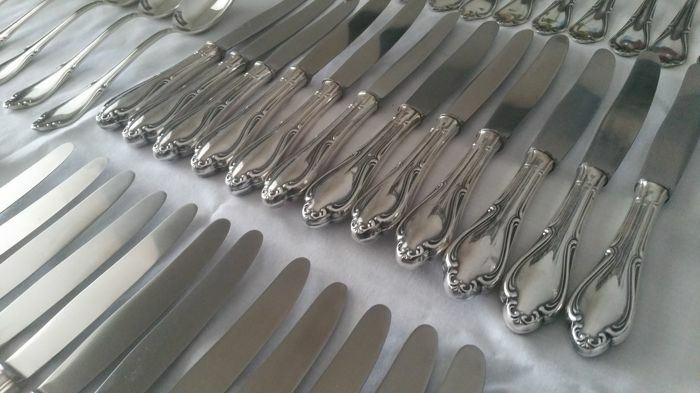 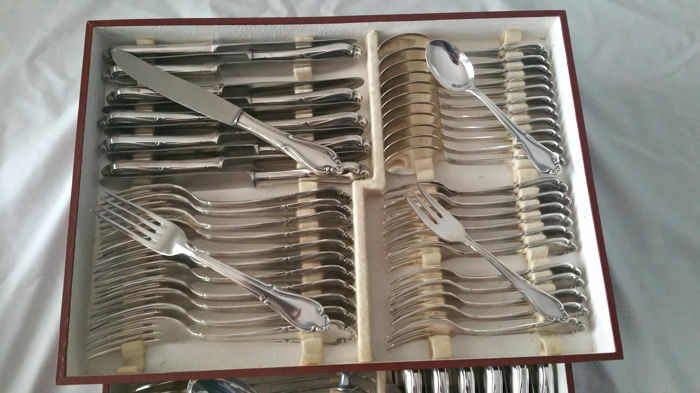 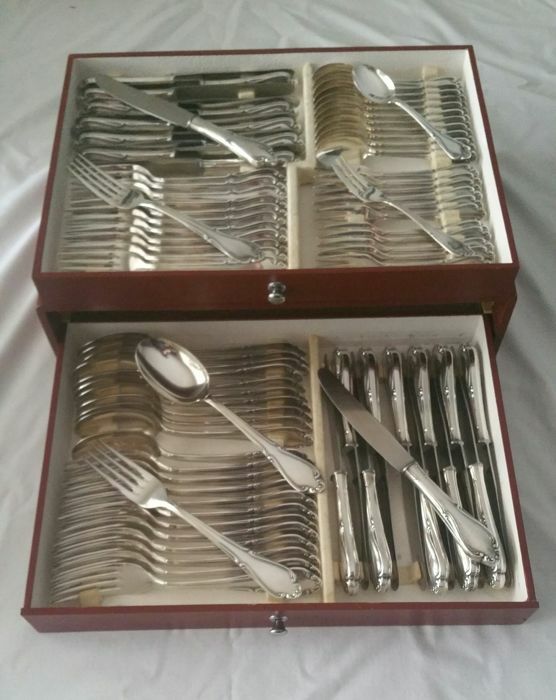 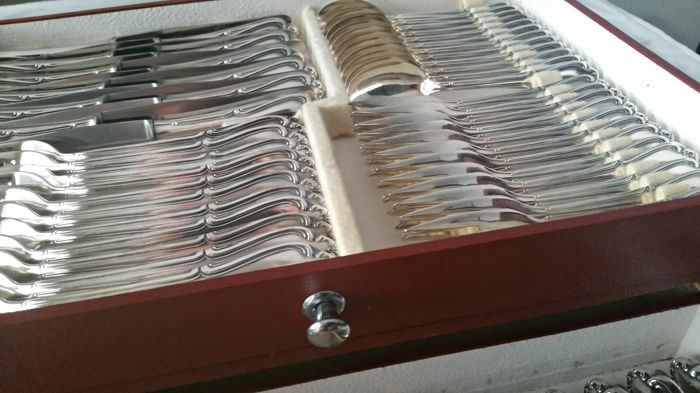 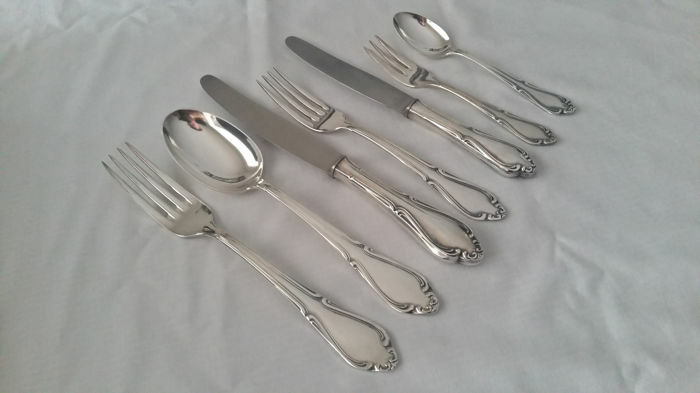 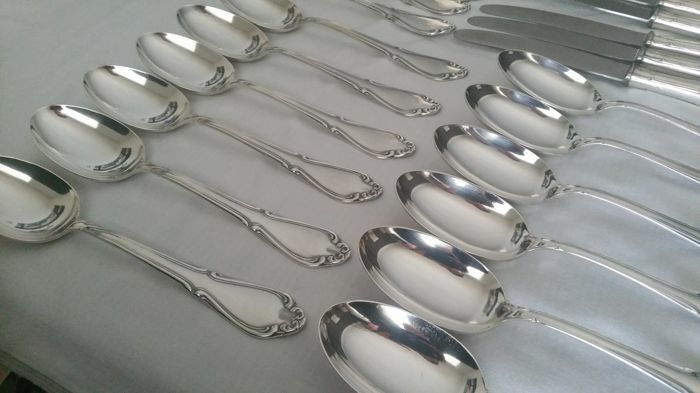 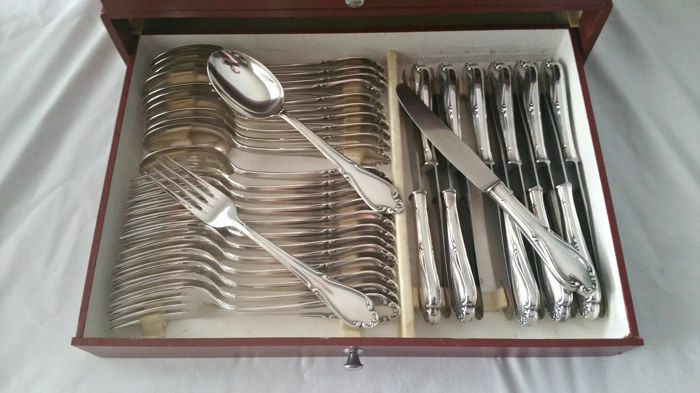 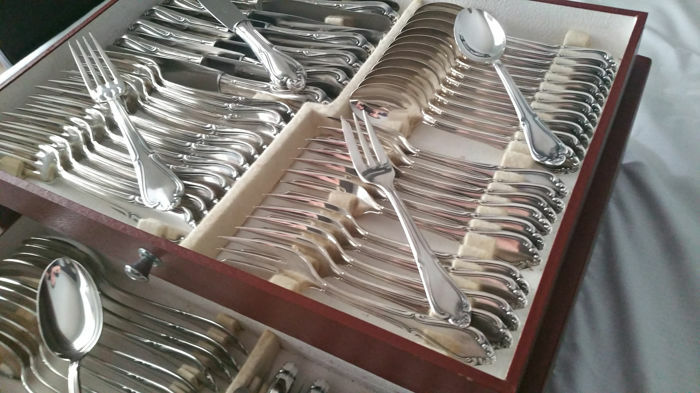 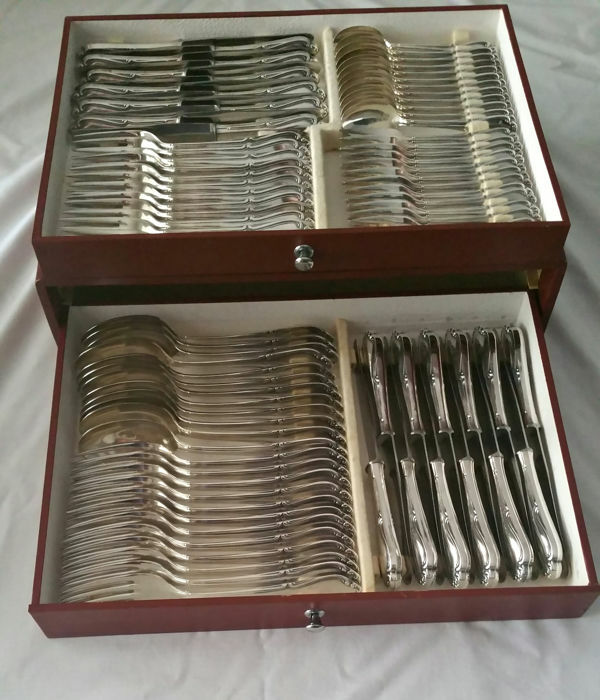 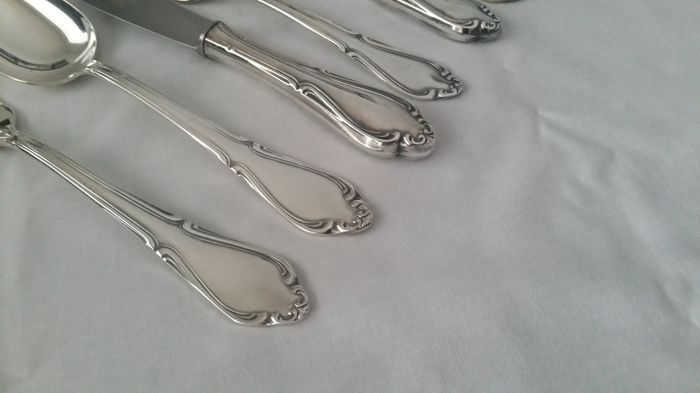 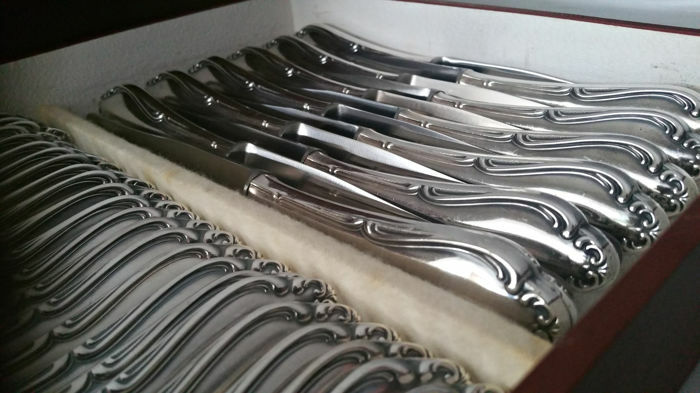 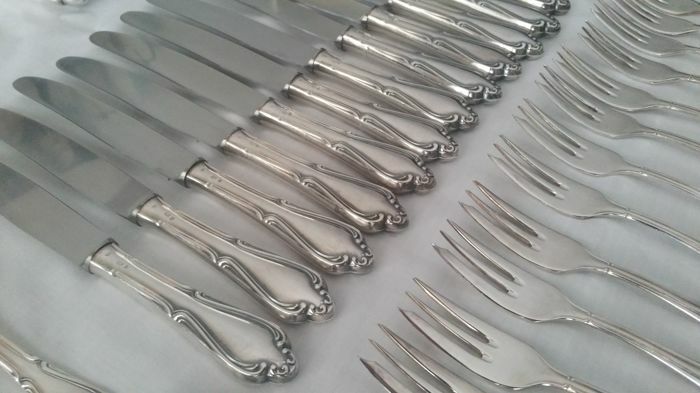 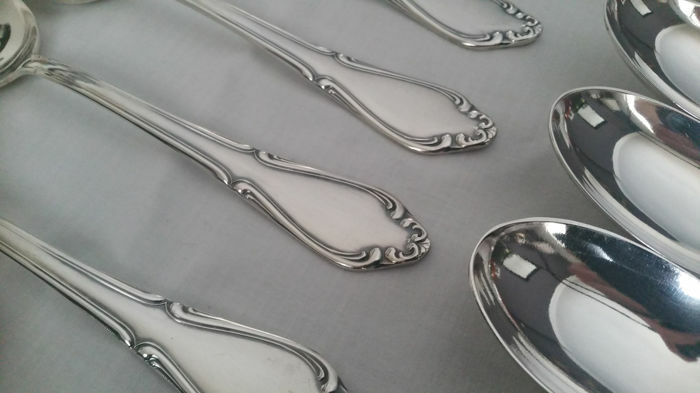 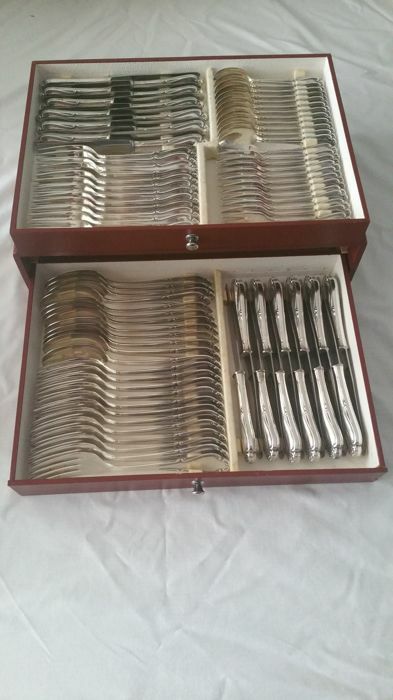 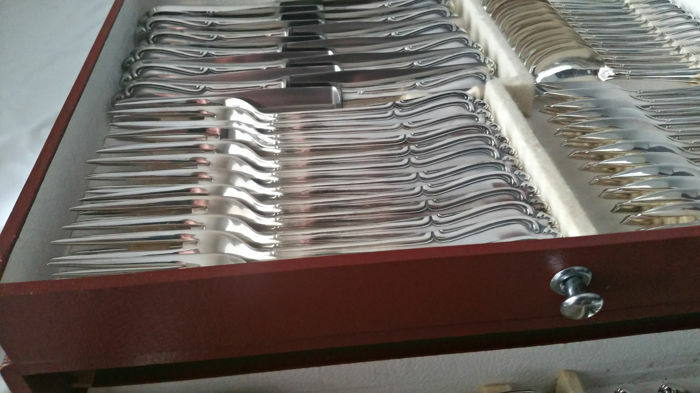 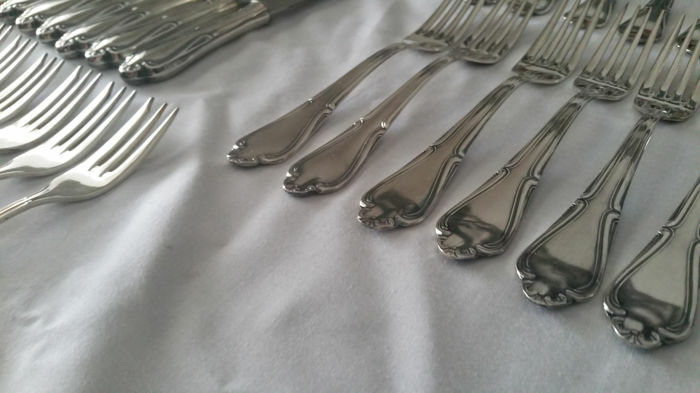 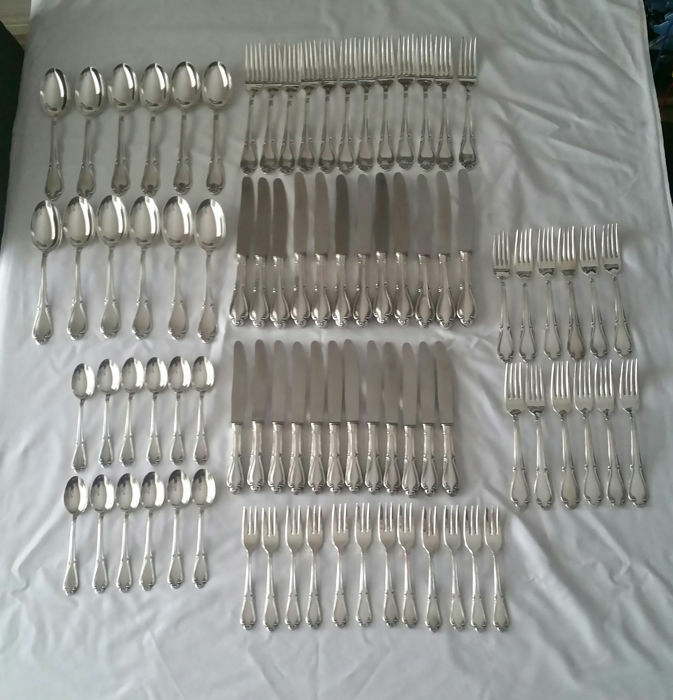 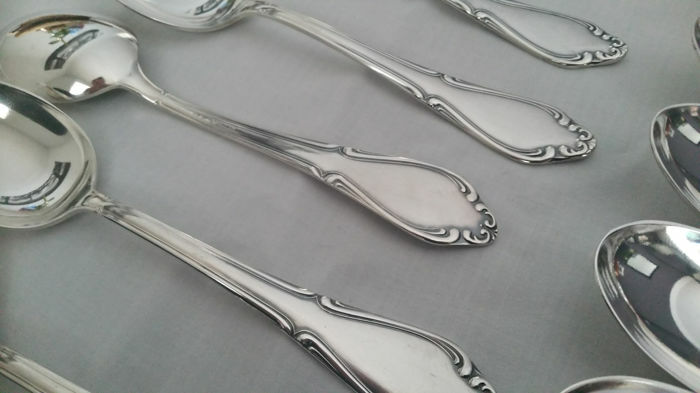 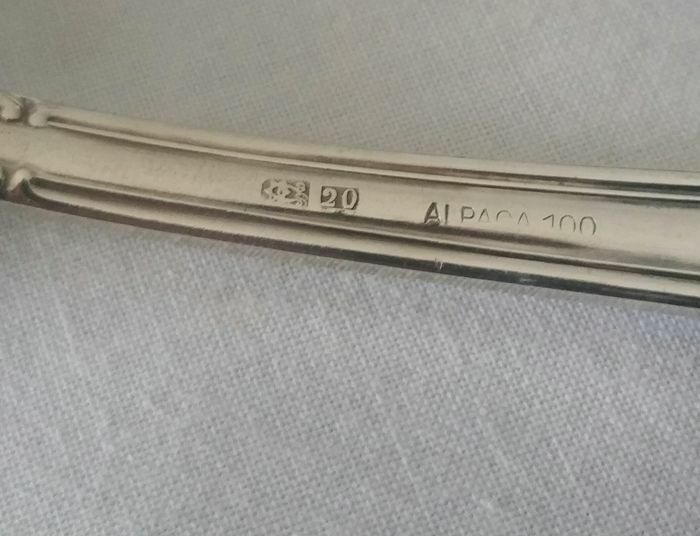 The cutlery is in very good condition with minor signs of wear (scratches due to use, polish-able discolouration). 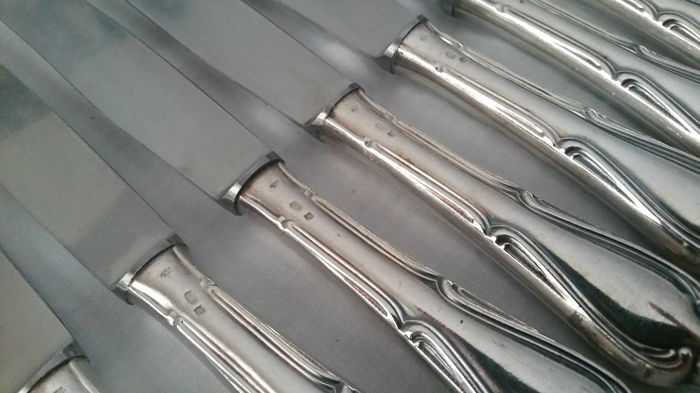 Only 1 breakfast knife has some minor damage on top of the hilt. 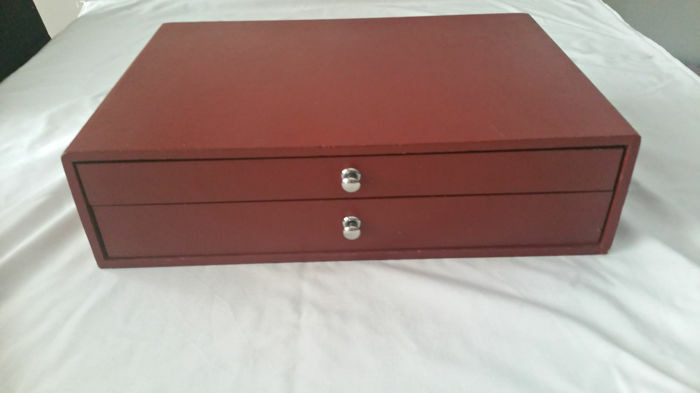 See the photos for an impression. 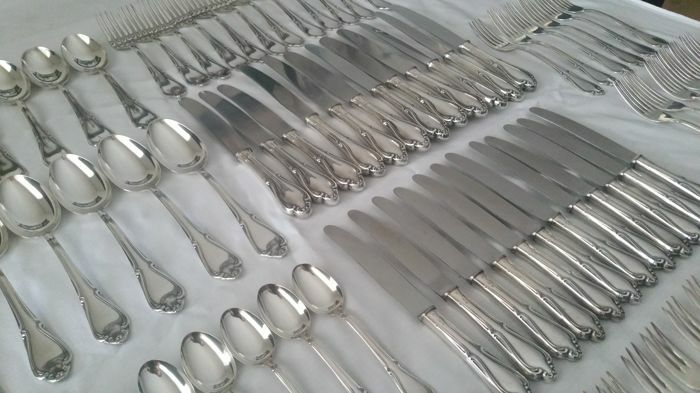 This lot will be packaged with care and shipped registered via parcel post, including Track & Trace.